Positive gearing is a very common investment strategy that has allowed a lot of people to become financially free. Robert Kiyosaki (the author of Rich Dad Poor Dad) talks about positive gearing as one of the best ways to invest in property and he even goes as far as to redefine the word asset as to something that is positively geared or generating you an income. So what exactly is positive gearing? Positive gearing is where the rental income from a property is greater than the expenses for the property generating a surplus of income. It is when you invest in property that generates more money in rental income than you have to pay in expenses. This means that every week or every month or every year you have money left over after paying your expenses that you can use for whatever purpose you want. You can use this money to re-invest, to pay down your mortgage or for your lifestyle. 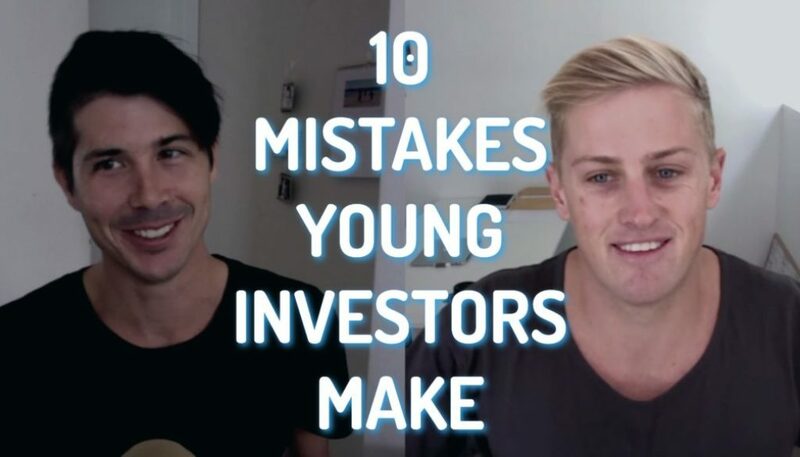 Also a lot of people do invest in positively geared property in order to achieve financial freedom and achieve the lifestyle of their dreams. Why Do People Invest in Positively Geared Property? There are many different reasons people invest in positively geared property. 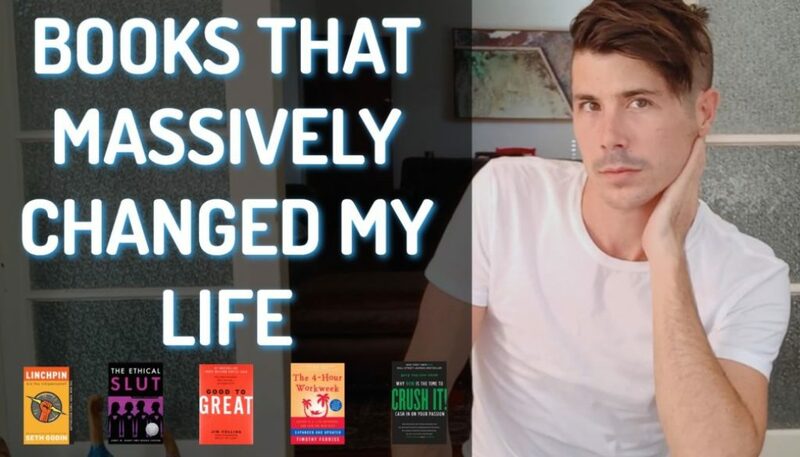 One of the common reasons is (like I just discussed) the fact that it can just spin off passive income that you can use towards your lifestyle. This can allow you to downgrade from your job and move to a part time job. Or it could allow you to become financially free completely. People also invest in positively geared properties because it means they can purchase as many properties as they want without having to worry about paying the loans because the properties pay the loans themselves. When you’re investing in negatively geared properties there’s only so many properties you can afford to own before you run out of money and you can no longer afford to pay your mortgages. However with positively geared properties every property that you add to your portfolio is giving you and spinning off passive income that you can use towards your life style or towards growing your property portfolio. Positive gearing is also popular because whether the market goes up, down or sideways there’s still potential to make money through positive gearing. Often when markets fluctuate and go up or down significantly rents don’t tend to fluctuate as quickly. What this means is that even if the market is going down you can still be collecting rent for that property and you can still be generating a passive income from that property making a profit. This means that it buys you time for the market to come back up again and you’re not relying just on capital growth in order to grow your property portfolio. Another reason people invest in positive gearing is because it can give some predictability to your property and investments. It’s hard to predict how much your property is going to grow or when however with positive gearing you can work out roughly how much your cash on cash return is going to be each year and therefore you can plan ahead and any capital growth you get is a bonus on top of that. Why Don’t More People Use a Positively-Geared Strategy? Well the answer (at least for Australia) is that most people want the fast capital growth. 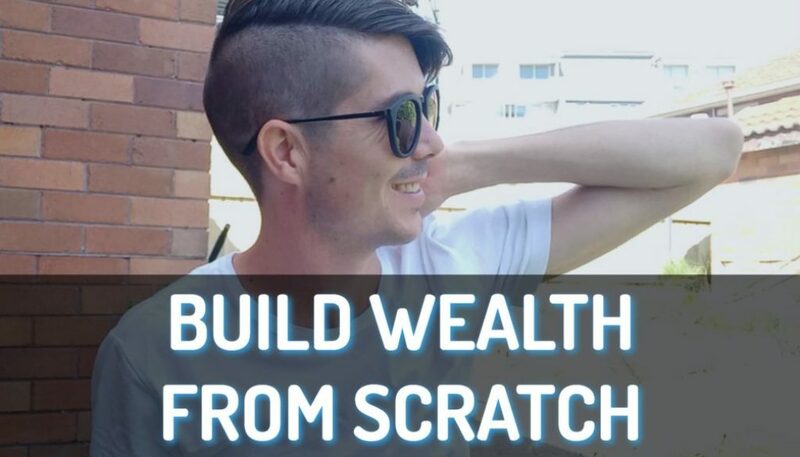 I was having a conversation with Ben Everingham from Pumped On Property the other day over a beer and I was talking about the fact that people love the quick wins and the growth they can get from capital gains. 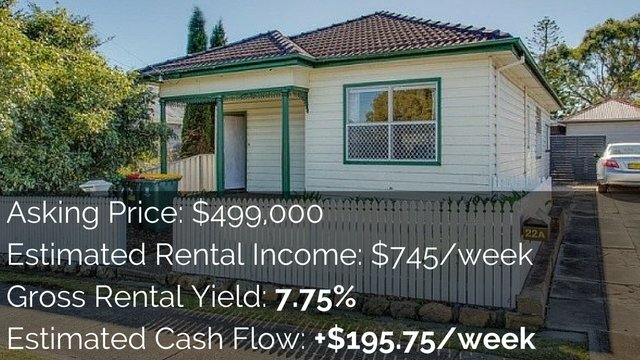 The fact of the matter is that when you look at the Sydney market at the moment, properties have increased $100,000 to $200,000 in the space of 6 to 12 months. It’s hard to say no to that sort of capital growth. A lot of people who come to me and are looking at potentially joining On Property Plus (which is my premium membership website where I list positive cash flow properties) ask me how to find positive cash flow properties and capital growth properties. Well you should look at your properties. Are they positive cash flow and do they have capital growth? A lot of people (though not everyone) are still focused on capital growth specifically as a way to get quick money and to hopefully get them out of their jobs quicker. So I think the main reason people don’t invest in positive gearing is because of that focus on capital growth and the other reason is that it is much more difficult to find positively geared properties than it is to find negatively geared properties. If I was to have a rough estimate I would say about 95% of properties in Australia or more are negatively geared. However if you can find positively geared properties and you know how to do research then you can find good properties that are positively geared. I find them every single day so I think it’s not hard to find them. It’s easy for me. It’s hard when you don’t know what you are doing. The main reasons that hold people back are that they don’t know how to find them and they’re focused on their capital growth. Where Do You Find Positive Cash Flow Properties? So where do you find these positive cash flow properties and why are they so hard to find? 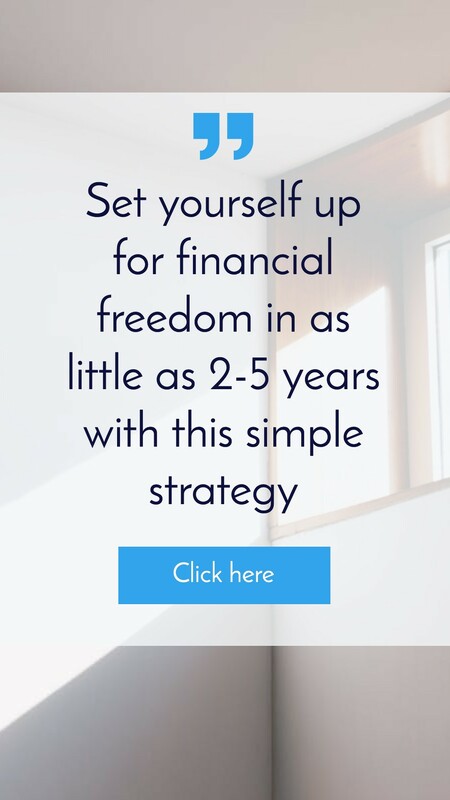 This sounds like a good investment strategy where you could generate passive income and hopefully achieve financially freedom. How do you actually go about finding those properties? While finding the properties is a topic for another day, I will give you a couple quick ideas for where to find positively geared properties. The first place is I think you should look are in regional centers or in country areas. It is much easier to find positive cash flow properties in these areas because rental yields tend to be higher. It can also be easier to find positive cash flow properties at the lower end of the market. 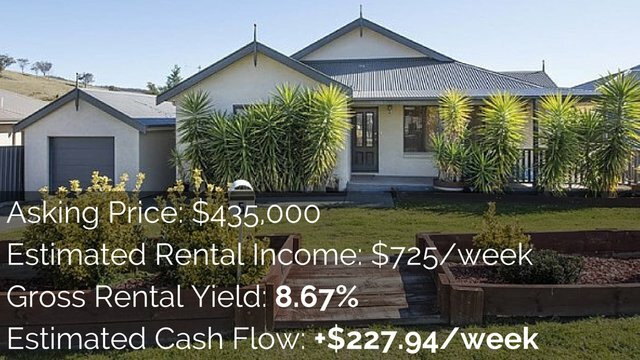 So if you’re looking at the cheapest properties in the market (especially in regional areas) then there’s a good likelihood that they are going to generate a higher rental yield than what the suburb does as a medium. I’m pretty confident that it will work that way. So if you look at the cheaper properties you’re more likely to generate a higher rental yield. So try to look for properties that have granny flats and you’re more likely to find that there will be positive cash flow for properties that have granny flats.